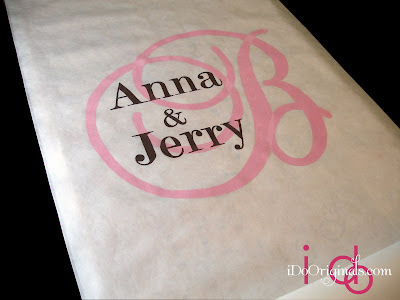 Bride Anna found us through our publication in Northern Virginia Bridal Magazine... and we're glad she did! 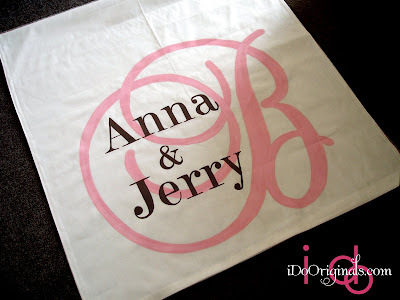 Selecting monogram 2A for their items, Anna & Jerry ordered a unity candle set, a custom aisle runner and a matching table runner in one of our favorite color combinations... pink & chocolate. 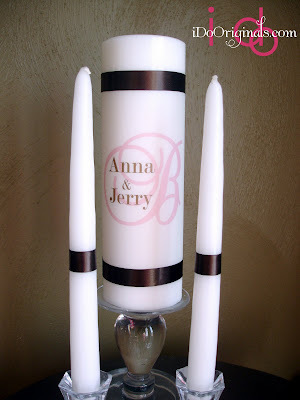 We wish the very best to Anna & Jerry who will be married at the end of March!